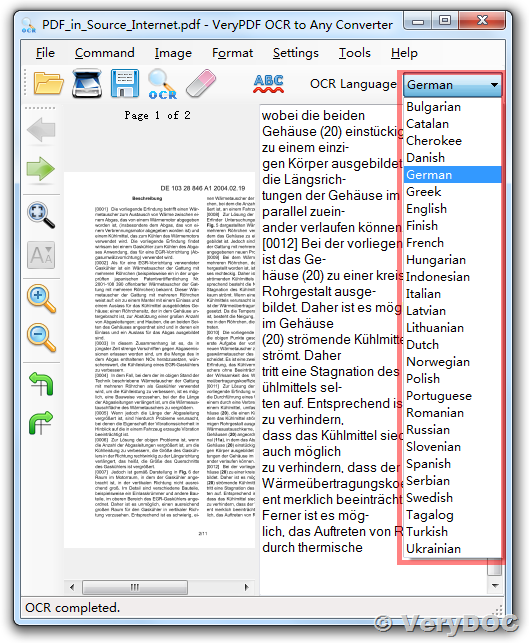 After you download and install it, please run it, open a scanned PDF file, you will able to utilize this OCR PDF tool to OCR the scanned PDF document and save to plain Text, DOCX, RTF, etc. document formats easily. Format: You can convert .JPEG, .PNG, .GIF, or PDF (multipage documents) files. File size: The file should be 2 MB or less. Resolution: Text should be at least 10 pixels high. Orientation: Documents must be right-side up. If your image is facing the wrong way, rotate it before uploading it to Google Drive. 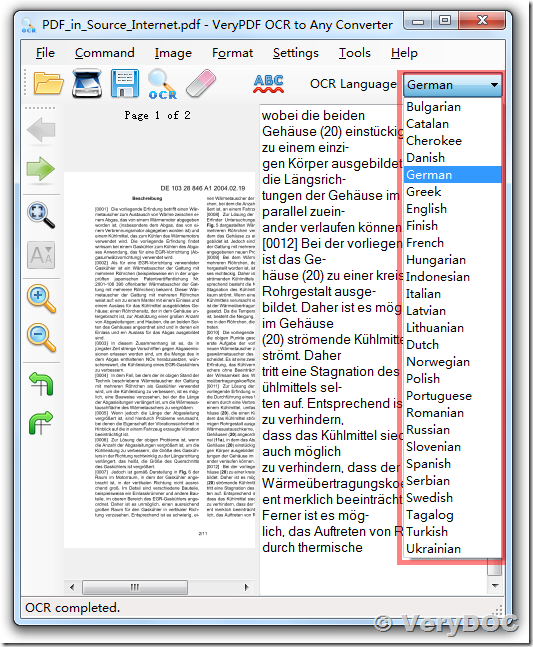 Languages: Google Drive will detect the language of the document. Font and character set: For best results, use common fonts such as Arial or Times New Roman. Image quality: Sharp images with even lighting and clear contrasts work best. Fast, accurate, and time-saving with great technical support! How to use Image to PDF OCR Converter Command Line to monitor a folder (Hot Folder), convert all incoming TIFF files to PDF files with OCR function automatically? How to do copy and paste in any kinds of website? How to search content in image PDF file? This entry was posted in OCR Products and tagged ocr pdf, ocr tiff, OCR to Any, ocr to rtf, ocr to word, pdf ocr, tiff ocr. Bookmark the permalink.